The Best Breweries in New Orleans | Brews Cruise, Inc.
New Orleans is a city in Louisiana located along the Mississippi River. This city is known as the Big Easy because of its round-the-clock and active nightlife. It is also known as a good tourist destination. One of the best things they can offer tourists is their local craft beers. In recent years, local brewpubs and breweries increased greatly in number. New Orleans has gone from slim picking to local options. New Orleans Brews Cruise offers interesting and educational brewery tours. The goal is to share the creative process of New Orleans breweries in making beers. They also wanted to share the exceptional beer taste that New Orleans has to offer. The New Orleans Brews Cruise begins and ends at The Avenue Pub. Each tour consists of 3 brewery stops. You will be provided a bottled water and a light snack during the tour. The bus also has a cold storage where you can store any beer you may want to bring home. They want to share their passion for local beers. New Orleans Brews Cruise aims to provide an informative tour and to expand your palate. Their brewery tours include short lectures about how each brewery crafts their beers and how beers differ from each other. Join the New Orleans Brews Cruise and enjoy a one of a kind beer-tasting and learning adventure. Explore what New Orleans has to offer and hop aboard their Cruisin’ for a Brewsin’ New Orleans style. New Orleans Lager & Ale (NOLA) Brewing Company was founded by Kirk Coco. He was responsible for the rebirth of the brewing scenery in New Orleans after Hurricane Katrina. He used to be a huge fan of Dixie beer which was only brewed in New Orleans until after Hurricane Katrina when the bottle read “Brewed in Wisconsin.” This gave him the idea to put up NOLA Brewing Company. Now, they are known for their NOLA Blonde and NOLA Brown. NOLA Brewing Company prides themselves of craft beers made by hand. They offer over 15 craft beers. They have 9 year-round, 4 seasonal, and 4 series beers. Learn how these delectable beers are made and taste them in the taproom. 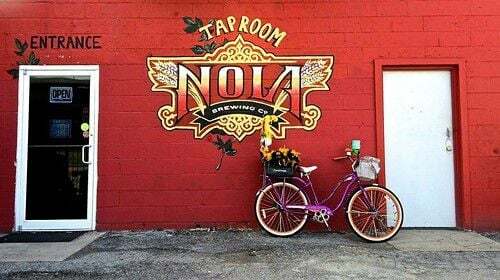 You may include NOLA Brewing Company in your New Orleans Tour. Tours every Friday starts at 1:30 PM. They also have tours every Saturday that starts at 4:00 PM and Sunday tours start at 2:00 PM. Book a tour today, and include NOLA Brewing Company. Courtyard Brewery is New Orleans’ first nano brewery. It opened in 2014 and is well-known for being neighbor-oriented. Courtyard Brewery currently offers 27 drafts which brews cruisers can enjoy while eating at food trucks. You will find various food trucks just outside of Courtyard Brewery. They also offer guest taps. These are a half-and-half mix of Brewer Scott Wood’s creations with your choice of beer on tap. The courtyard also pops-up most nights as they bring in the most diverse flavors of beer into the mix. You may include Courtyard Brewery in your New Orleans Tour. Tour schedules are every Fridays at 1:30 PM, Saturdays at 4:00 PM, and Sundays at 2:00 PM. Book a tour today, and include Courtyard Brewery in your list. Parleaux Beer Lab is a microbrewery and a neighborhood taproom. They craft high-quality and locally-produced beers. Our flavorful beers are inspired by the funky spirit of creativity and craftsmanship of the New Orleans community. Parleaux Beer Lab has about 15 beers on rotation on its taproom. They also offer food truck and special events. Including this beer lab in your New Orleans Brews Cruise will surely make your tour exciting and beery-licious. You may include Parleaux Beer Lab in your New Orleans Tour. Bring your family and friends along and Book a tour today! Tours are every Fridays at 1:30 PM, Saturdays at 4:00 PM, and Sundays at 2:00 PM. Brieux Carre Brewing Company is known for its creative crafts. This brewery is owned by a couple guys and gals who aim to brew the most interesting concoctions of beers. They also aim to craft new brews every week. Brieux Carre Brewing Company currently offers 14 beers on tap. They also offer Brieuxminati membership programs to beer aficionados. Benefits include Brieuxminati Pala Growler, Free 23 oz Fill Brieuxminati Beer, and an invitation to the annual Brieuxminati party. Book a tour today and include Brieux Carre Brewing Company in your New Orleans Tour. You may choose to go on tour on a Friday at 1:30 PM, Saturdays at 4:00 PM, and Sundays at 2:00 PM. Second Line Brewing Company is located in the mid-city neighborhood of New Orleans. Its name was derived from the unique tradition of New Orleans called Second Line Parade. The parade is an unbridled expression of fun and celebration for the New Orleans community. Just like the traditional parade, Second Line Brewing Company offers craft beers that are uniquely New Orleans. They have a beer garden where you can enjoy beer-tasting after your Second Line brewery tour. Second Line Brewing Company uses premium grade home-grown ingredients. They also have a farm where they can dispose spent grains from the brewing process as livestock feeds. Second Line Brewing Company may be included in the New Orleans Tour. You and your loved ones may choose to have the tour on a Friday at 1:30 PM. You may also choose to go on a Saturday at 4:00 PM or a Sunday at 2:00 PM. Book a tour today and enjoy an informative and beer tasting journey. 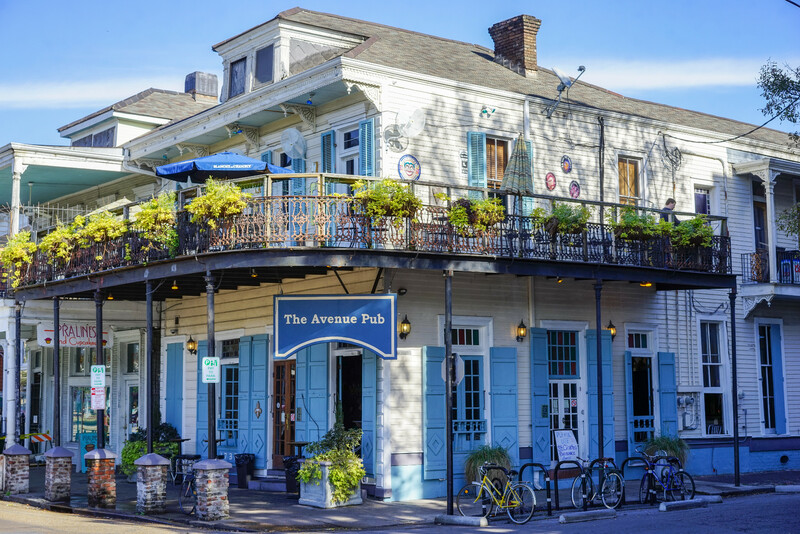 The Avenue Pub can be found in the historic Lower Garden District of New Orleans. It is the best place to go for craft beer enthusiasts. It is open 24 hours a day, 365 days a year. They offer over 40 craft brews in the taproom with 31 rotating and dozens more in bottles. They also offer bourbon, rye, and whiskey. The Avenue Pub invites a limited number of patrons every year to join the Mug Club. Members of the Mug Club get to enjoy their favorite beer in an exclusive and larger handmade beer mug for the price of a 16-ounce pint. The Avenue Pub is the pickup and drop-off point for the New Orleans Tour and Northshore Tour. New Orleans Tours cost $60 per person while Northshore Tours cost $75 per person. Book a tour today, and start your beer-venture at The Avenue Pub. Urban South Brewery was founded by Jacob Landry. They pride themselves with joining other local brewing pioneers to re-establish the brewery scene in New Orleans. Urban South Brewery offers carefully crafted beers using only the finest ingredients in New Orleans. The brewing process at Urban South Brewery is a mixture of cultural legacy and the bold innovation of the European beer making. Urban South Brewery’s 2nd Set Pilsner is the gold medal winner in the 2017 U.S. Open Beer Championship for the Bohemian Pilsner Category. Enjoy your 2nd Set Pilsner and other Urban South craft beers in their kid-friendly taproom. You may include Urban South Brewery in your New Orleans Tour. Friday tours start at 1:30 PM, Saturday tours start at 4:00 PM, and Sunday tours start at 2:00 PM. Book a tour today and try their great collection of craft beers. Abita Brewing Company was founded in 1986. They started brewing with just 1,500 barrels. Now, they are brewing 151,000 barrels of beer and 9,100 barrels of root beer. They use state-of-the-art brewing facilities with excellent brewing techniques. Abita Brewing Company prides itself of quality beers that are hand-crafted by a team of dedicated workers. They offer 38 premium quality beers made from the freshest ingredients. Include Abita Brewing Company in your New Orleans Brews Cruise and learn how they brew high-quality beers. Abita Brewing Company may be included in your Northshore Tour. The tour schedule is every Saturday at 10:30 AM. Book a tour today, and enjoy beer-sampling with your friends. Port Orleans Brewing Company is a proud member of the local brewing community. They offer craft beers brewed below sea level. Port Orleans Brewing Company is committed to creating the finest selection of craft beers. They pride themselves with 4 craft, 4 seasonal, and 2 series beers. They also have 16 delectable beers on tap. Enjoy their cozy taproom with family and friends. You may include Port Orleans Brewing Company in your New Orleans Tour. Book a tour on Friday at 1:30 PM, Saturday at 4:00 PM, or Sunday at 2:00 PM. For Only $60 per person, enjoy an educational and beer-tasting tour at Port Orleans Brewing Company. 504 Craft Beer Reserve is located in the heart of New Orleans. Their goal is to provide a great place for beer lovers to converge and enjoy the best craft beers in New Orleans. After selecting the best craft beers under one roof, they added 14 tap handles so that everyone can enjoy the goodness of freshly brewed beers. They also offer beers in bottles, growlers, and kegs. 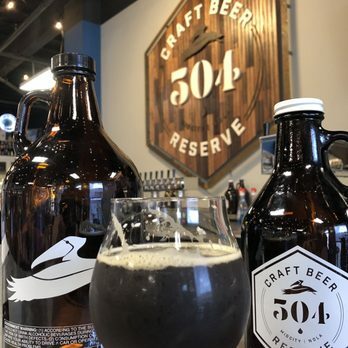 504 Craft Beer Reserve aims to expand the craft beer culture throughout the Southeast. When you include 504 Craft Beer Reserve in your New Orleans Brews Cruise, you will surely drink, talk, and oogle over great craft beers. Book a tour your New Orleans Tour today and include 504 Craft Beer Reserve. Choose to go on tour on a Friday at 1:30 PM, Saturdays at 4:00 PM, and Sundays at 2:00 PM. You may also bring home a bottle or growler of beer and enjoy the goodness of craft beer. These are just 10 of the awesome breweries that you may visit during your New Orleans Brews Cruise. New Orleans is a city of great culture and excellent locally brewed beers. When in New Orleans, hop aboard these brewery tour packages, and enjoy Cruisin’ for a Brewsin’ NOLA style! Explore the rapidly growing craft beer scene in this awesome city of New Orleans. Contact us at 504-517-4671 and book a tour today! Learn more about the New Orleans Tour, North Shore Tour, and private tour packages.